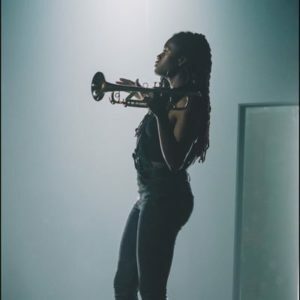 At age 13 Arnetta Johnson discovered the trumpet, and today at almost age 25, NPR has named her one of 20 artists to watch in 2019. “Her singles, ‘Meet Me There,’ ‘Who Are You’ and ‘I’m Just Sayin’ have only heightened excitement about her forthcoming album, If You Hear a Trumpet, It’s Me,” says J. Michael Harrison, WRTI radio host. Nasir Dickerson, Jamal Dickerson and Hassan Sabree, teachers at Creative and Performing Arts High School in Camden were Arnetta’s first mentors. In middle school, she received her first professional gig performing with the Little Jazz Giants, a band of young musicians ranging in age from eight to 18, created and managed by Unity Community Center (UCC) in Camden, New Jersey. UCC was started by Robert and Wanda Dickerson over 40 years ago. The Dickersons opened their hearts and doors to at-risk youth in Camden in order to teach them the principles of African music and dance, along with life-saving skills. Darren Barrett, a Berklee alum and professor, is a critically-acclaimed jazz trumpeter from Canada who has headlined international stages and performed with some of the greatest musicians, from jazz legend Donald Byrd to pop performers Common and Talib Kweli. And just like Barrett, Arnetta received a full scholarship to the music college. “It was a big difference, going from being with a bunch of kids who look like you, to being the only black kid in the class,” recalls Arnetta. She was also one of only a few female instrumentalists at the school who stuck to playing a horn, as many of the female students were singers or piano players. Arnetta adds, “I always listened to his show and WRTI, and it’s where I found out about various musicians like Tia Fuller.” It wouldn’t be long before the saxophonist became another mentor to her. Next up for Arnetta… Beyoncé. Arnetta has performed at Super Bowl XLIX featuring Beyoncé and toured with the chanteuse as a featured trumpeter on both her Formation and On The Run II tours. In five years Arnetta hopes to be in her super prime, working with jazz musicians and hip hop artists. 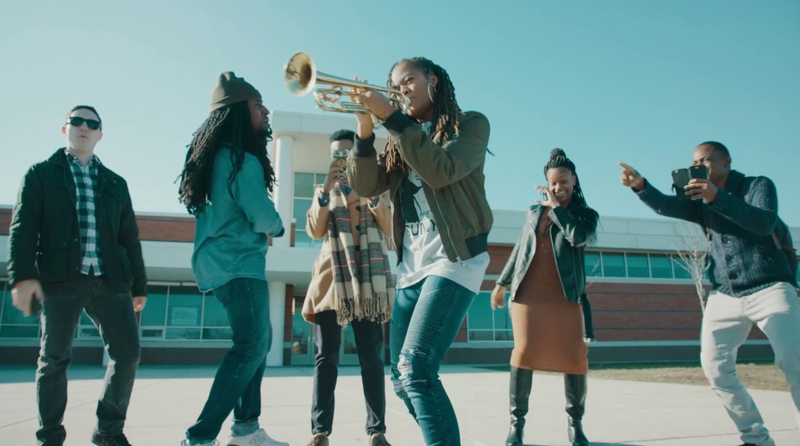 In her video Arnetta and Sunny, featuring band members Simon Martinez, Henry Trife, Eric Whatley, Lawrence Farmer, and Josh Thomas, Arnetta shows she isn’t afraid of “the jazz police,” in fact, she doesn’t even see them.